From its original state until now the Blue House has gone through a huge transformation. Before adding the label, quilt sleeve and binding I decided I wanted to take the reinvention phase a bit further. Time to audition embellishments. From my inventory I pulled boxes of buttons, ribbons, ric-racs well as a huge tub of thread. Little by little I auditioned buttons of every color choosing the ones that best fit. 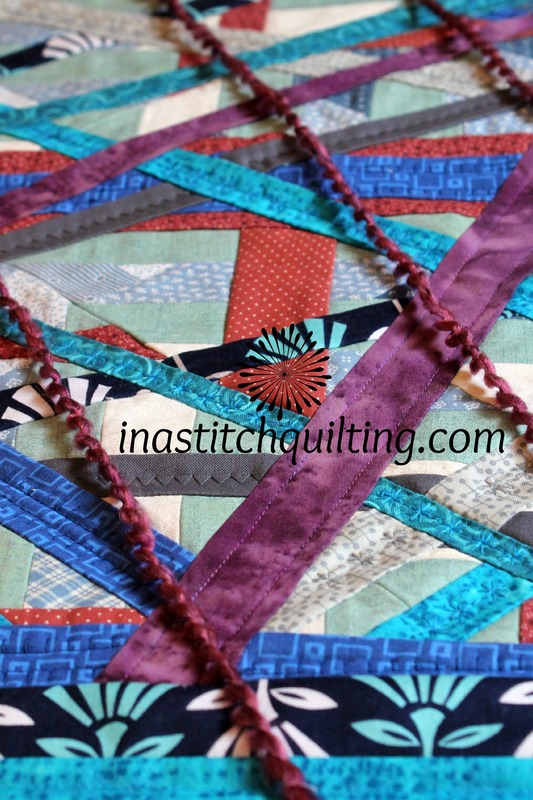 Imagining how they would add to the quilt’s visual appeal was the most fun. 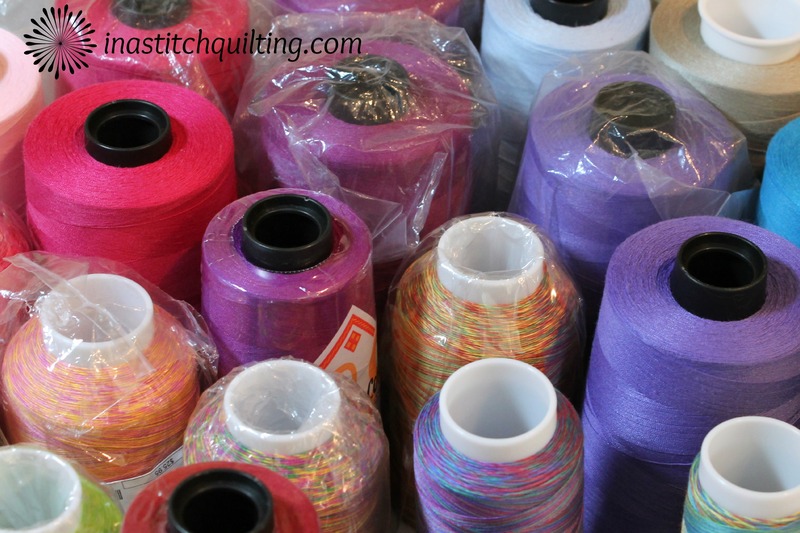 Once I had them narrowed down I set them aside and moved on to the containers of fiber art supplies. From my stash I retrieved ribbons, cording, yarns and pompoms and strategically placed them in the wall hangings surface. Several options stood out immediately because of their complimentary colors and texture while others just didn’t fit in. With patience and a keen eye I sifted through many of the possibilities whittling away at the options until the final cut was made. Sewing on buttons is not one of my favorite tasks. Whenever possible I use my sewing machine. When selecting the buttons for this project I made certain they were suitable for machine application. Each button was carefully attached making certain the machine’s presser foot didn’t damage the button. After buttons I moved on to ric-rac and hand stitching. I love the way French knots look so I added them in several different colors. 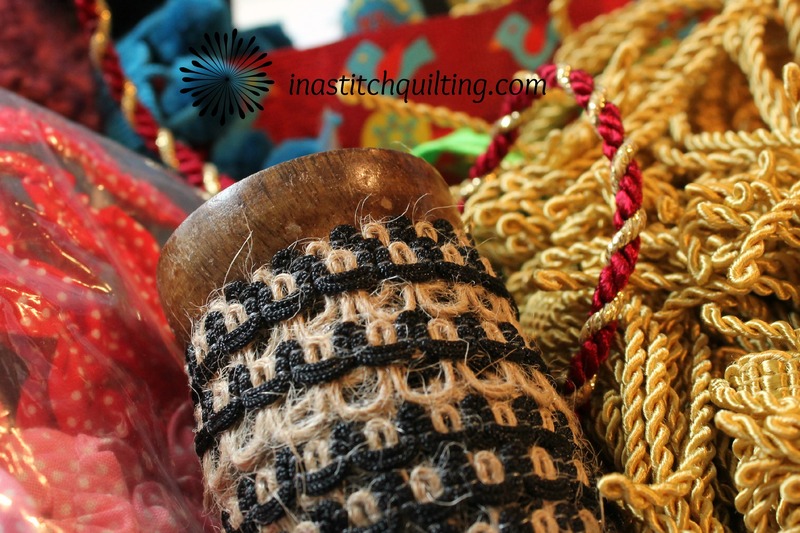 Rows of a running stitch were also incorporated. 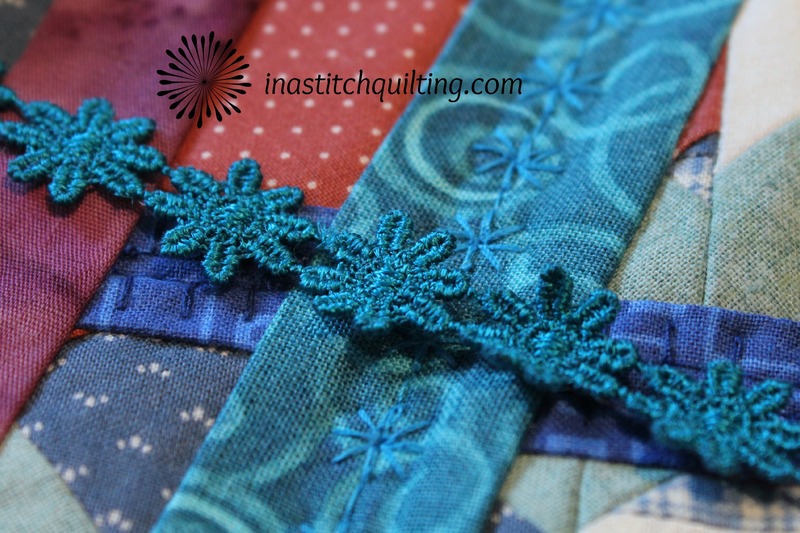 After applying the last piece of embellishment I sat back, in my chair, took a deep breath and allowed my eyes to survey the Blue House wall hanging. My heart was so pleased. I couldn’t have asked for a better outcome. Not much left before this project is finished. Time to take a break. When next we meet we will finish up the wall hanging. I’m looking forward to seeing you then!